CHEEKTOWAGA, N.Y. (WKBW) — A Cheektowaga man is in the hospital tonight following a road rage incident that left him needing surgery. Cheektowaga Police say it was shortly after 2:45 Wednesday afternoon when 41-year-old Matthew Rudy was driving on Walden Ave. near Chick-fil-A. Police say he was cut off by a man in the left lane and the man then slammed on his brakes, got out of the car and punched Rudy in the face through the window. Police say he then dragged Rudy out of the car, in the middle of the median and brutally beat him 20-30 times. The man took off. After a two-day investigation, police arrested 31-year-old Maurice Scott of Buffalo. He was arrested on a second-degree assault charge. Rudy was transported to ECMC. He had to have surgery on his eye, and his wife says there's a possibility he may be blind. She says he is now home and resting. 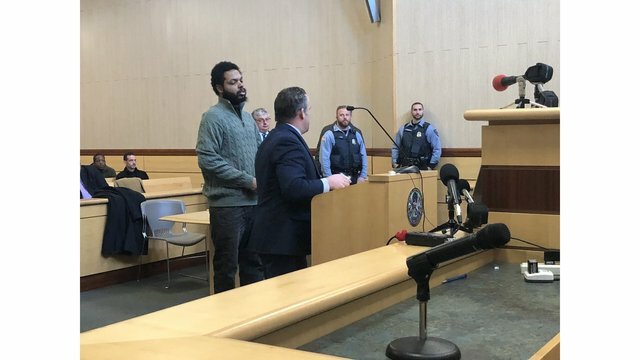 (WIVB) - The Buffalo man charged in a brutal road rage assault in Cheektowaga earlier this month appeared in court on Thursday. Maurice Scott, 31, is charged with second degree assault, accused of brutally beating 41-year-old Matthew Rudy on Walden Avenue near the Walden Galleria on Dec. 19. Rudy sustained facial injuries which required surgery from the incident.